The Renaissance Chicago Downtown Hotel is an award-winning hotel located in the heart of downtown Chicago, on the edge of the Loop and just steps from the famed Theatre District. However, it’s much more than just a hotel. The Renaissance Chicago is one of our favorite event venues in Chicago! Its prime location near a variety of popular Chicago tourist attractions makes it a popular choice among meeting and event planners. In fact, Millennium Park, Navy Pier, Grant Park, and the House of Blues are all less than 2 miles from the hotel, while the United Center, US Cellular Field, Soldier Field, Little Italy, and the Lincoln Park Zoo are less than 5 miles away! And, it’s even conveniently located near both of Chicago’s major airports, as O’Hare and Midway are both less than 20 miles from the hotel. 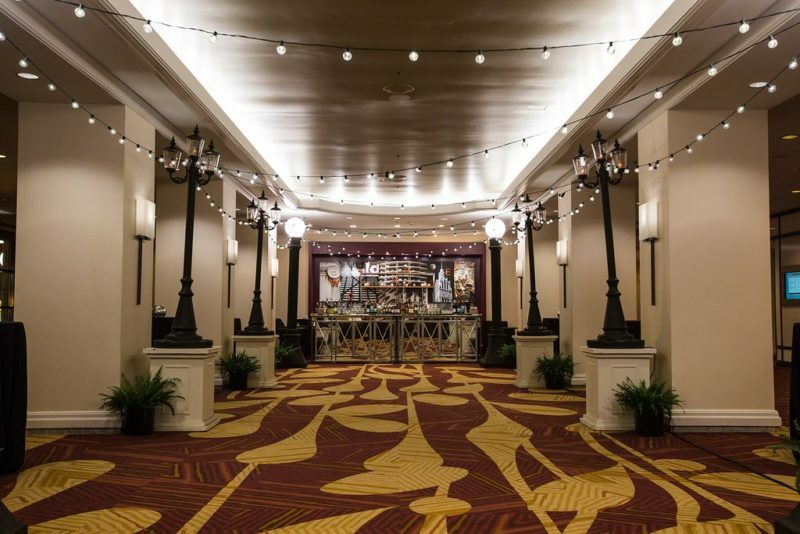 With so much to do so close by, the Renaissance Chicago is the perfect venue choice for a multi-day event and provides plenty of opportunities for off-site events and activities to keep attendees engaged and having fun throughout the week! Each of the venue’s event spaces can be set up in a variety of ways, and the hotel has many different set-up options they recommend and plan for. The Renaissance Chicago Hotel is perfect for receptions with buffet tables, a cocktail hour, a formal banquet, a company meeting, or even a presentation with theater style seating. On The Scene is an award-winning Chicago destination management company. 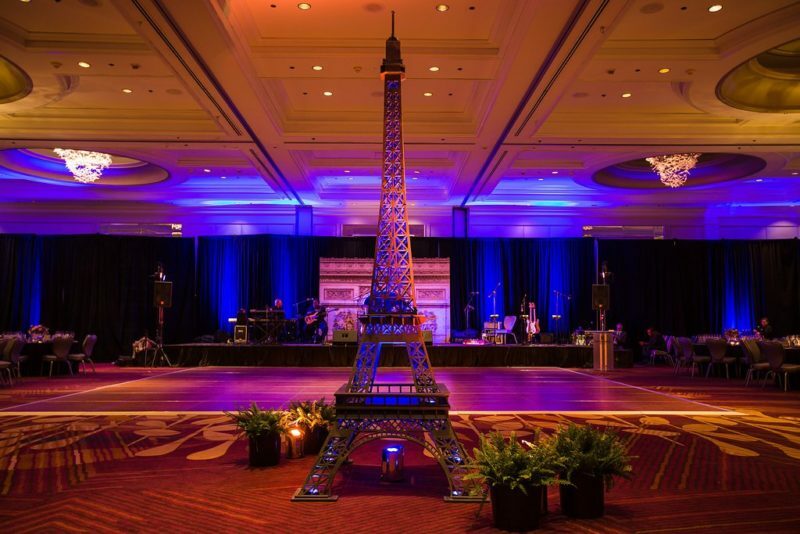 Our team of event professionals have experience producing a number of corporate events at the Chicago Renaissance Hotel – from a company wide multi-day meeting for a well-known beverage company to an Evening in Paris themed dinner in the Grand Ballroom. Our knowledge of the venue and each of its unique spaces allows us to work as your behind-the-scenes partner to recommend the best space and set up for your specific event. We’ll work as an extension of your team – learning your corporate brand, message, and event goals to produce an event experience attendees will never forget. As a leading Chicago event management company, we handle it all – from initial coordination and event planning to event decor, dining, transportation, and event entertainment! If you’re considering hosting your upcoming corporate event in Chicago at the Renaissance Chicago Downtown Hotel, contact On The Scene today. We’ll help bring your vision to life and ensure attendees leave your event talking about it for weeks to come!